Lower prices mean more sales. Who knew? We talk a lot about how slow VR has been getting off the ground, but the truth is, it's selling well. In fact, in the quarter ending 30 September 1 million VR headsets were estimated to have shipped, marking a new record for a single quarter. 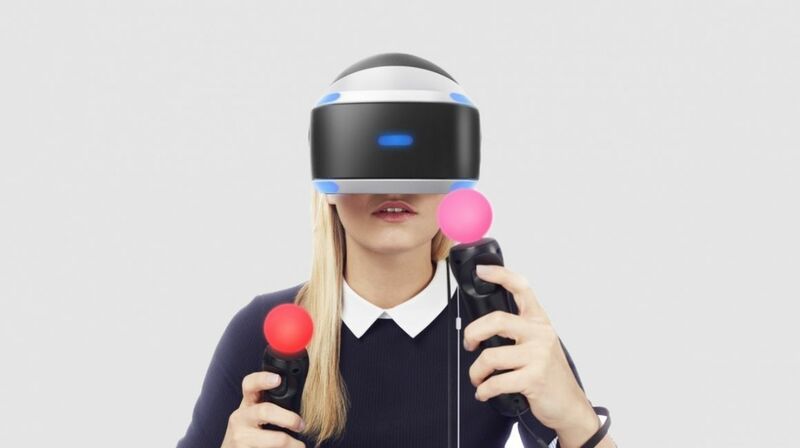 Analysis firm Canalys estimates 490,000 PlayStation VR headsets were sold in that quarter, followed by 210,000 Oculus Rifts and 160,000 HTC Vive headsets. That's interesting because in 2016 Canalys estimated that HTC was ahead of Oculus in sales, so the positions have switched. PS VR, however, remains top dog. As not all of the companies reveal their sales numbers, these are estimates, but the breakdown isn't surprising. Oculus's lead over the Vive is no doubt partly down to the price cuts we've seen it make this year, bringing the Rift down to $399, which also gets you the Touch controllers included in the box. The Vive, on the other hand, is still $599. All three of these systems make up 86% of total VR sales for Q3 2017, with mobile VR probably making up most of the rest. Microsoft's Mixed Reality headsets are only just starting to get into people's hands, so we expect those numbers included in the future. It will be interesting to see if Microsoft can eat into these sales by the sheer volume of headsets its OEM partners are putting out. "VR in business can be applied to many industries, such as manufacturing, healthcare and education," said Canalys Analyst Jason Low in a statement. "As top-tier PC vendors, including HP, Lenovo, Acer, Asus and Dell, launch their own VR headsets, using their distribution channel efficiencies, one can expect a strong VR uptake in business." Also interesting, as noted by Canalys, is how Sony is dominating the market even more heavily in Japan, where it's estimated to own 80% of the sales. As for the race between Oculus and HTC, 2017 has seen the Oculus library of games strengthen with exclusive titles like Robo Recall and Lone Echo. The Vive still has its advantages, namely its superior room scale technology, but the gap between the two experiences has lessened. When they were both launched, the Vive was lauded for being the superior headset, but we now reckon the Oculus Rift is the best headset you can buy. In 2018, with the Oculus Go and Santa Cruz headsets set for launch, HTC needs to push ahead in the West. It recently cancelled its standalone Vive Focus Daydream headset, which will now launch only in China (without the Daydream platform), so all eyes are on HTC to see how it can combat Oculus's increasing dominance.